Mrs Chye remembers her mother’s fashion sense. 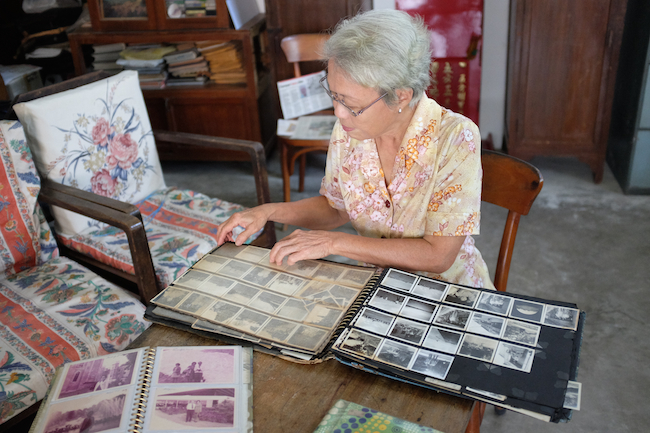 Mrs. Chye leafs through a thick photo album, filled with black and white family photos. The pages of the album are stiff, the edges scuffed. 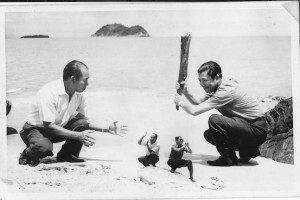 Many of the photos have fallen loose. But her memories are vivid. In the photos, one woman is seen more than any other. 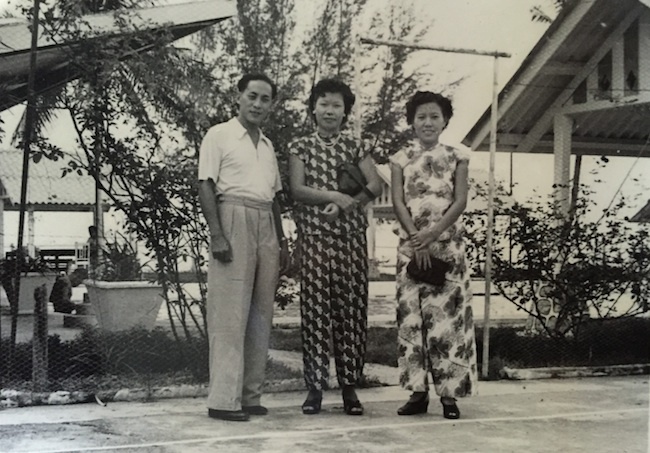 This is Mrs Yoon – Mrs. Chye’s mother, remembered for being one of the best-dressed ladies in Kampar. 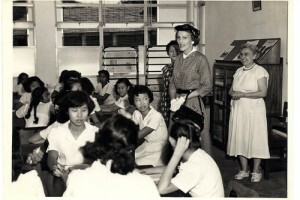 Mrs Yoon, centre, was known for her elegant apparel. Mrs Chye, nee Yoon, was born and raised in Kampar. 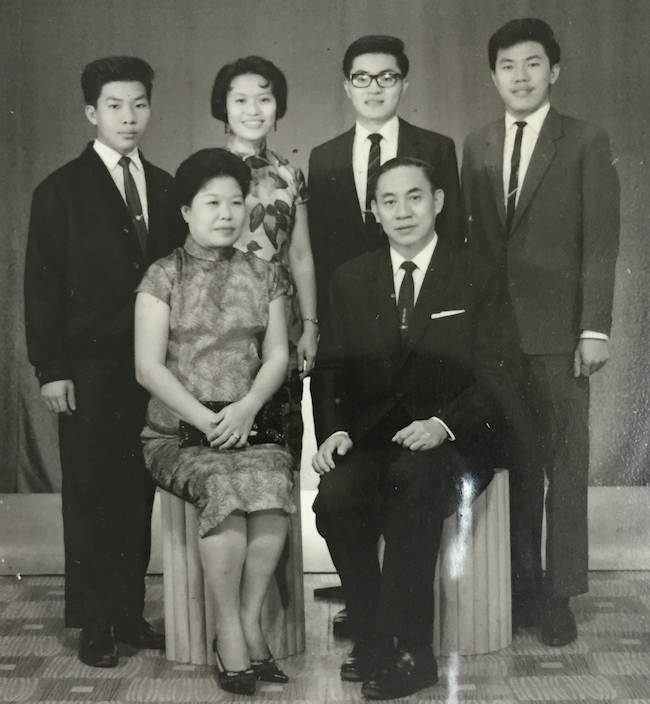 Her father, Mr Yoon Siew Kang was a clerk in a tin mining company. Her mother was a housewife, who raised four children. But Mrs. Yoon was also known for her sense of style. 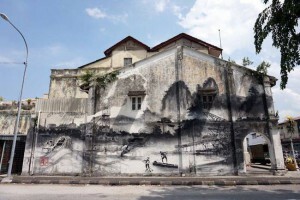 She dressed in beautifully tailored samfu and cheongsam, keeping up with the fashions of the time: a striking sight in a small, sleepy town like Kampar. Even more extraordinarily, Mrs Yoon kept almost all her clothes throughout her life. She continued to dress up long after her daughter became a teacher, got married (to the esteemed historian Chye Kooi Loong) and had children of her own. 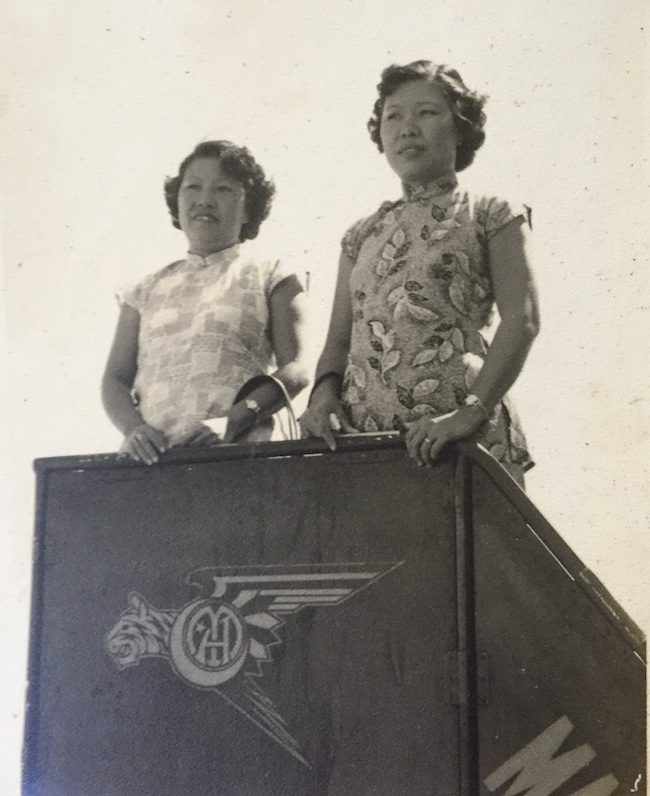 Mrs Yoon, right, standing on a Malayan Airways ramp. Mrs Yoon passed away at the age of 94. Until her final years, she remained strong in mind and spirit. She and her daughter Mrs. Chye were seen eating at the iconic restaurant, Kam Ling, every weekend. 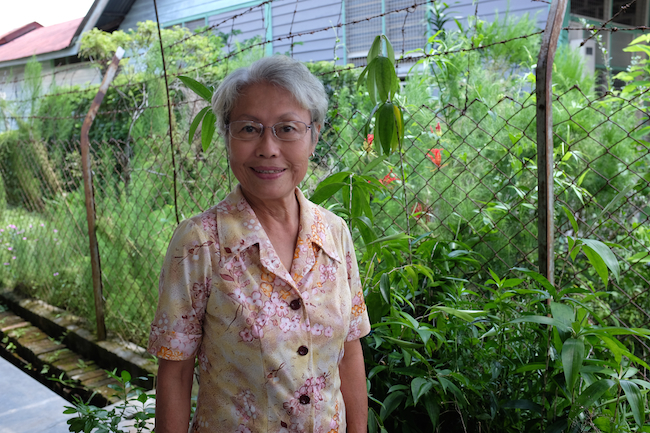 After her mother’s passing, Mrs Chye sold her parents’ old house and gave away much of the furniture. But there was a room full of clothes that nobody in Kampar wanted: over four decades’ worth of fashion that seemed destined for landfill. Mrs Chye, wearing her mother’s tailored blouse and trousers. Clarice Wong Zi Yun, a community co-ordinator with a background in media production, shared the same hometown as the Yoons and the Chyes. A family friend suggested that Clarice could take Mrs Yoon’s vintage clothes to use in film production. When Clarice heard the suggestion, she agreed. Clarice soon realized that the clothes were too delicate to be used as costumes. Instead, she teamed up with her friend Effa Desa, a documentary producer, to give the clothes a new lease of life. The two friends both enjoyed shopping for vintage clothing at bundle shops. They decided to try selling the clothes to people who had similar tastes for retro design. “Two years ago, vintage clothes were still quite niche. You couldn’t find them in shopping malls, only flea markets. Then later, I saw a vintage market on Jalan Ampang and I saw the crowds. Then I knew that people would want these clothes,” says Clarice. Clarice Wong Zi Yun and Effa Desa, wearing clothes from Mrs. Yoon’s wardrobe. In February 2015, Clarice and Effa organized a small sale called “Her Closet”. Although it was only publicized among friends, many women came to look at the clothes, try them on and buy them. Entranced by the unique patterns and the vintage tailoring, everyone left with more than one piece each. Floral button detail on one of the vintage dresses. 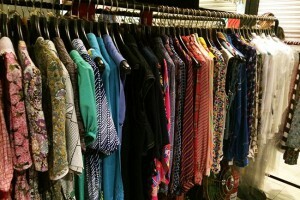 “Now vintage clothes are more common. I feel we are more authentic because these are not manufactured. People can tell it’s different,” says Clarice. 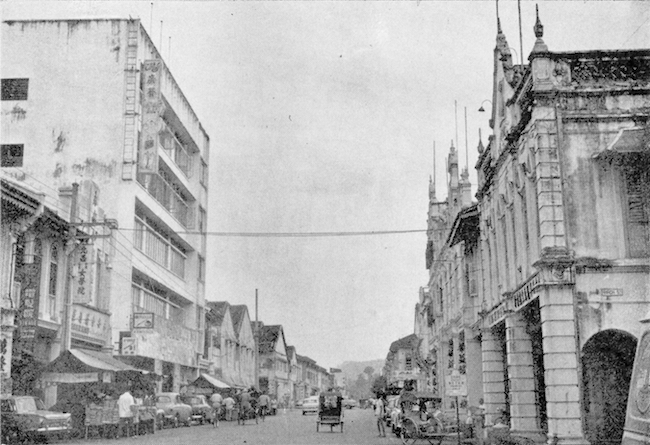 Mrs Chye recalled how her mother would travel to Ipoh to shop at the textile shop Kwong Fatt, then send the fabric to be tailored. She also often had floral buttons specially made for the clothes. At first, Mrs Chye was surprised that people would want to buy the old clothes. 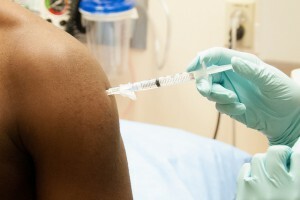 But she was glad to see the reaction. Daughters brought their mothers to shop at the sale, browsing through over 100 dresses, outfits and accessories. “I am happy that people like the clothes,” she said. Xtal Kay models one of Mrs Yoon’s dresses. So far, there have been two sales from Mrs Yoon’s wardrobe, but about half the clothes are still unsold. 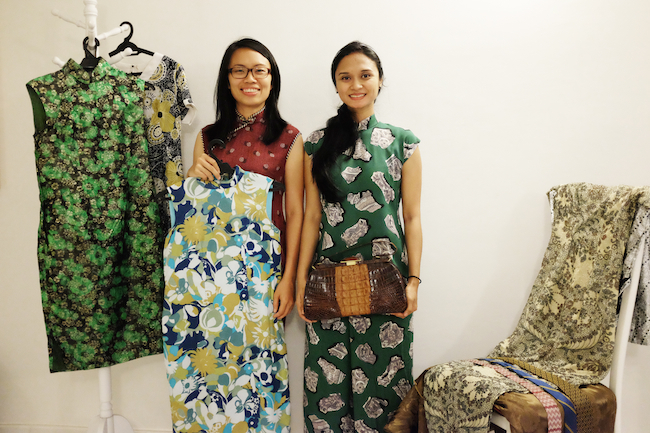 The pair will continue to sell the clothes in small batches, with pieces going for RM20 – RM50 each. Some of the clothes have also been put aside so that they can be displayed in a museum one day. 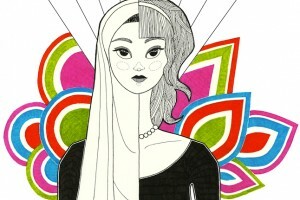 With the styles ranging from the 1950’s to the 1980’s, they tell a story of Malaysian fashion history dating back to pre-Merdeka days. For Clarice and Effa, however, the most important thing is that the clothes are appreciated now with a new generation. Each time they hold a sale, they will recount where the clothes came from and the lady who once wore them with style. That’s how Mrs Yoon’s memory lives on: in the stitches and threads of every dress, blouse and button. Words and photos by Ling Low. Additional photos courtesy of Mrs Chye, Javad Tizmaghz and IpohWorld. Find out more at Her Closet.